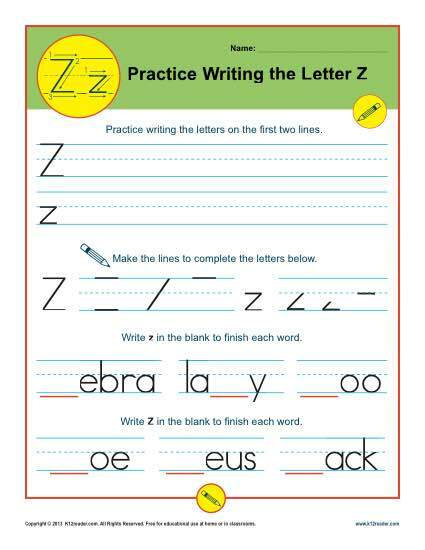 This handwriting worksheet spotlights the letter Z. Your student will practice upper and lower letters and write them in words, such as Zoo and Zack. It’s aligned with Common Core Standards for Literacy for kindergarten and 1st grade, although other students may find the practice helpful.